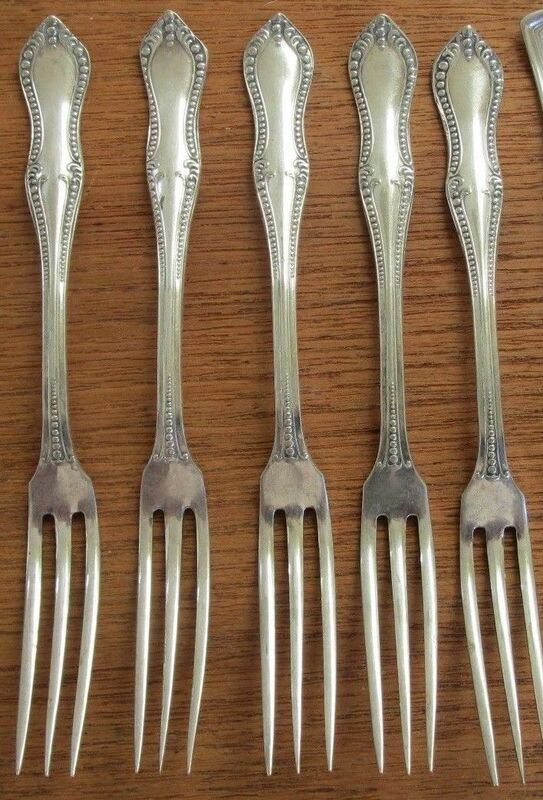 Here are 5 antique silverplate strawberry berry forks. 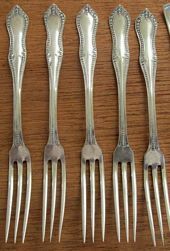 The antique strawberry forks are a unknown beaded pattern. 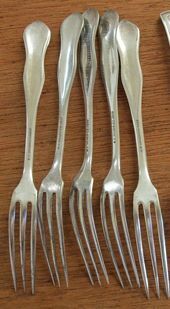 Antique Strawberry Fork Measurements: 5" in length, 3/8" wide across the tines. 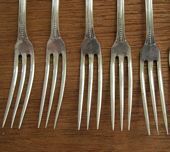 Antique Strawberry Fork Condition: The antique strawberry forks are in good used condition. There is some wear to the silverplate along the back side edges of the forks of the 5 beaded pattern strawberry forks.